One of my early fashion memories is a nubile Urmila Matondkar running across a beach in a tiny dress, in the movie Rangeela. 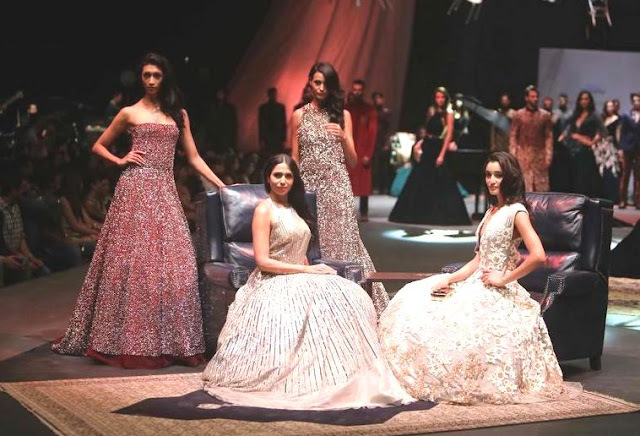 The young designer responsible for her sensuous avatar was Manish Malhotra, who became the toast of tinseltown, and continued to add sheen to the shine of Bollywood. 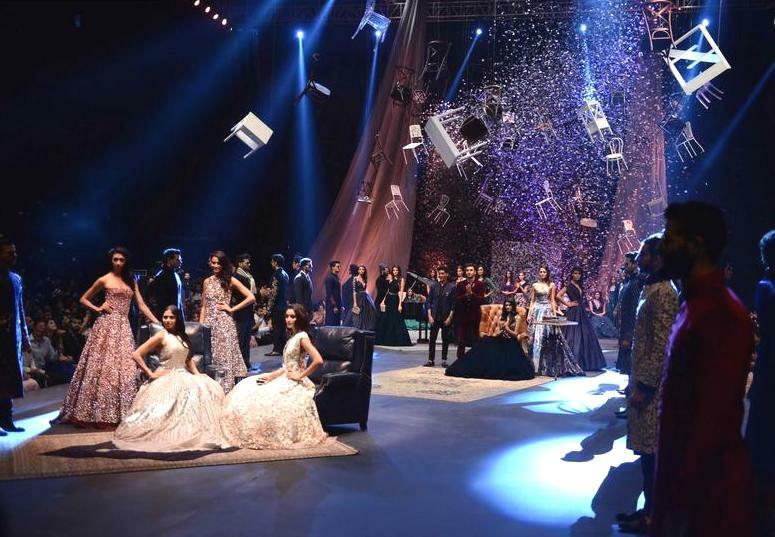 He continues to be one of the most celebrated designers of the country, designing for some of the biggest celebrities of the country and beyond. 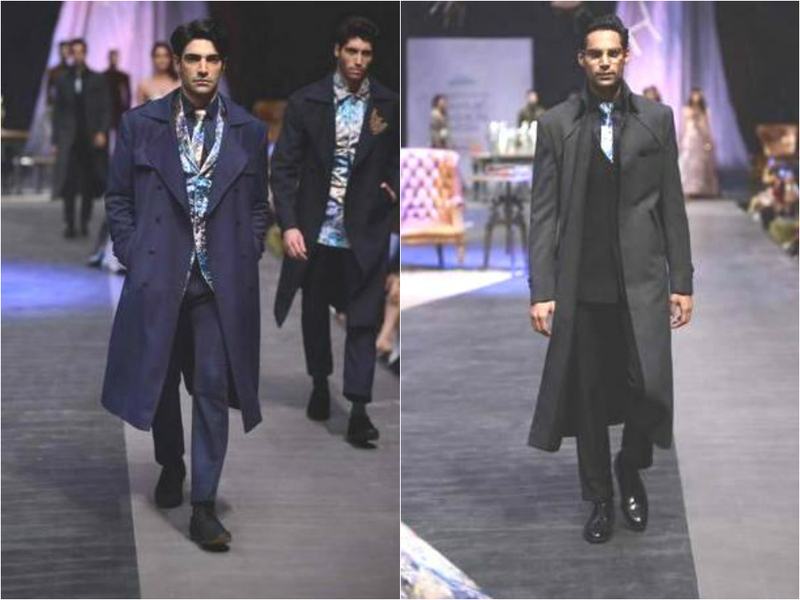 For the recently concluded Lakme Fashion Week, Manish partnered with Philips India for an exclusive collaboration – Gentlemen’s Club, a stylish, cool and contemporary line for men, inspired by the chic men's styling range of the brand. Oozing with sophisticated charm, the collection saw some of the most good-looking models in the country strut down the runway in trench coats, overcoats, bandhgalas and structured jackets. 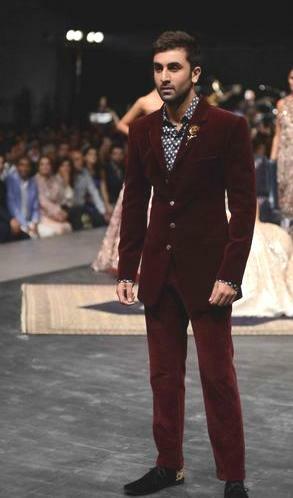 Botanical motifs adorned some of the designs, as the crowd watching the show cheered the gentlemen enthusiastically. The setting of the show was no less dramatic, with chairs hanging from the ceiling, and a large piano in one corner. The centre of the ramp held a large wooden table laden with glass vases and surrounded by plush wooden chairs. Nearly 40 models showcased 78 tailored garments, walking down the runway to the live jazz music. And since this was the first ever men’s collection by India’s ace designer, it had to have a finale no less than striking and stunning. 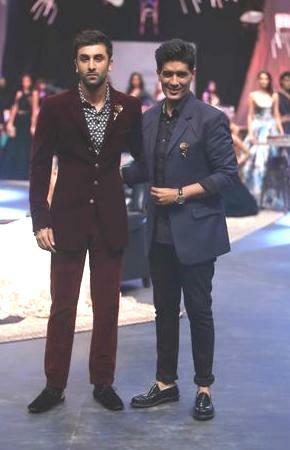 Catcalls filled the Mehboob Studio as Ranbir Kapoor walked out in an all maroon suit, as the showstopper, followed by the designer taking a bow with the superstar, even as large cylinders of confetti showered over the models and the audience. Though Manish has styled some top movie stars in the past, this collection was a bold and masculine statement far removed from his earlier signature. While the jury is still out on whether the designer will nail the menswear market just as he has done with women, this collection is not for the meek. It’s for a man comfortable in his skin, and his stride. The colours belong to the season, but the cuts are classic, yet modern. 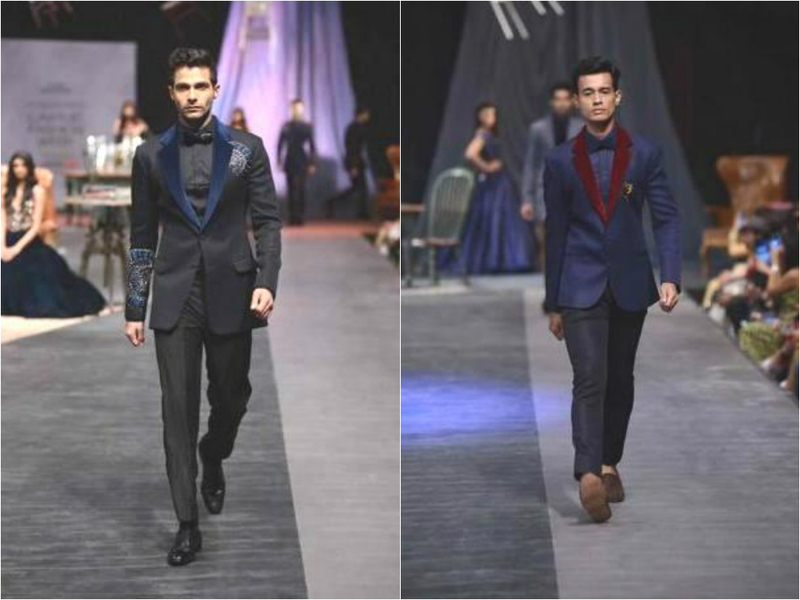 Manish’s collection does belong to the League Of Extraordinarily Confident Gentlemen.